On 28 June 2016, 41 people were killed and hundreds wounded in a terrorist attack at Istanbul’s Ataturk airport. In mid July, there was an attempted coup in Turkey. 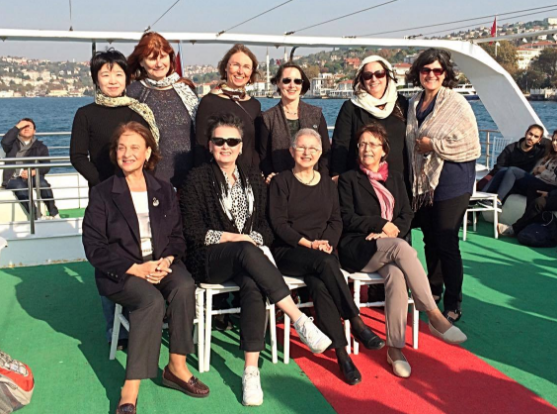 Under the shadow of these events, I attended an international women’s museums conference in Istanbul in late October. It was a first-of-its-kind gathering and women from all over the world came to speak. We were quite excited, nervous and enthusiastic about what we could contribute. However, quickly we realized that understanding context was as important as creating outcomes. Everyone’s experiences are important, from the girl who lives on the streets, to the ones who live in palaces. For me, bringing Girl Museum to the table was a wonderful opportunity to share what we do with young women who had never heard of us and provide opportunities to work with them‚Äîto share their voices that are becoming more marginalized every day. In frustration, I remembered something that I already knew, caught up in the bubble of everyday minutiae, that museums must speak up and out. We cannot just be repositories of information without facilitating understand of that knowledge and why it is important‚Äî to save us from ourselves. To save us from repeating a past so littered with hate, racism, misogyny and violence‚Äîwe must lead. Without action there is no progress. The Girl Museum mission is predicated on creating change, so expect us to be more staunch and stronger in our opinions and beliefs about standing up for girls‚Äô voices and rights around the world. Stay tuned. The conference proceedings will be published and our presentation available on our website (under Events) soon.